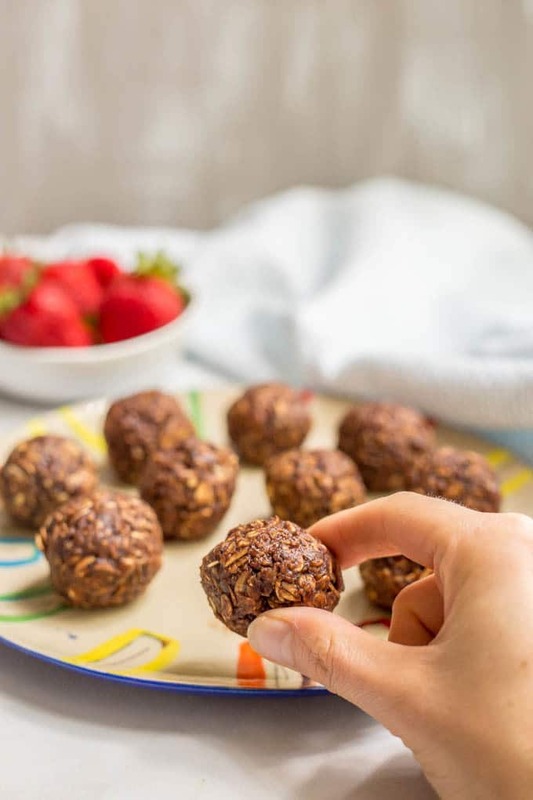 These 10-minute no-bake chocolate cookie balls use just 6 wholesome ingredients for an easy, tasty snack that’s also gluten-free and vegan! 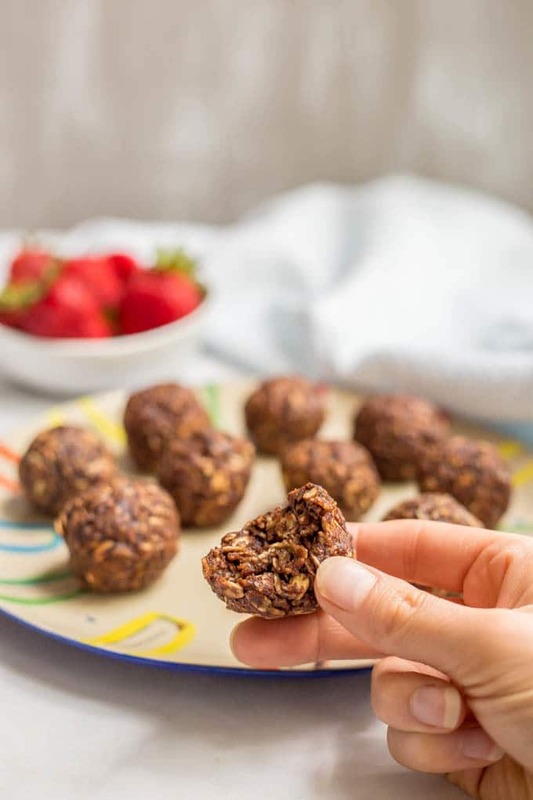 We are talking easy, healthy snacks today! Cause I’ve got some serious snackers in my house – myself included! 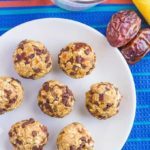 And these super easy, 10-minute chocolate cookie balls make an awesome snack for kids and adults alike! 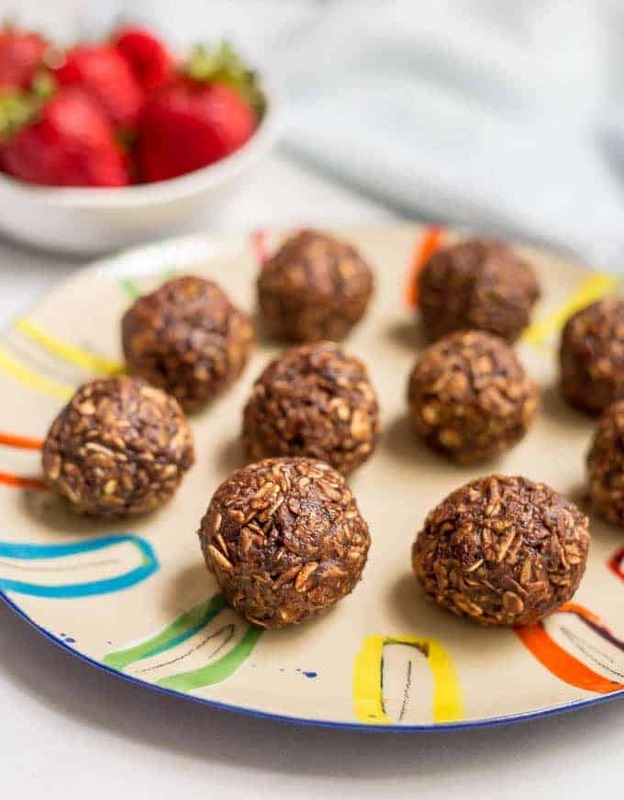 They are rich and chocolatey, dense and chewy and perfect for packing in a lunchbox or taking on the go. And all you need is 6 simple ingredients. You’ve probably got everything in your pantry already – I usually do. But with just real food ingredients and are naturally sweetened with maple syrup, so there’s really nothing to feel bad about. I use old fashioned rolled oats because that’s what I always have on hand, but you could use quick cooking oats too. I use maple syrup for mine but you could try them with honey. Kids can definitely help make these! 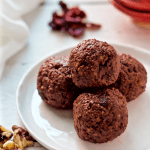 They can stir in the pan and help roll the balls once they’ve cooled. 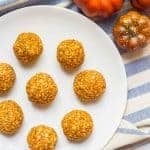 You can store these cookie balls in the fridge for up to a week. 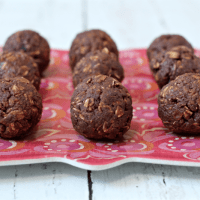 And if you want some cookie cookies, these both sound delicious: perfect paleo double chocolate cookies and copycat Starbucks flourless chewy chocolate cookies. P.S. We love using these little storage cubes to pack our chocolate cookie balls. P.P.S. Now updated with a VIDEO to show you how easy these are! 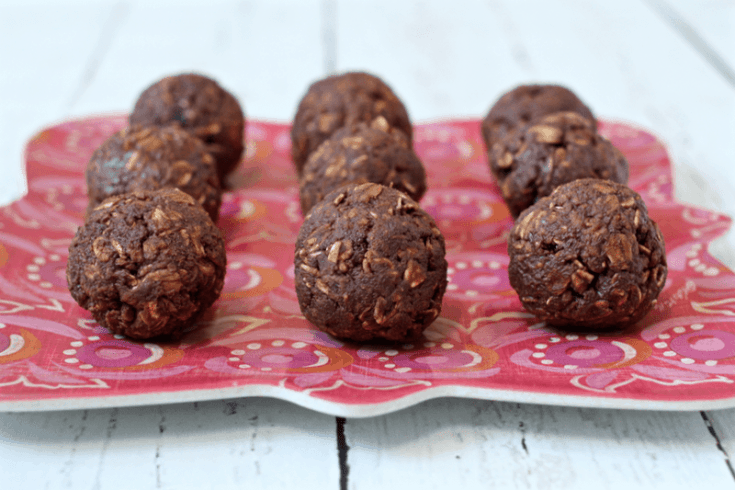 Fast, easy, wholesome chocolate cookie balls - perfect for snacking! Combine the maple syrup, milk and cocoa powder in a small pan over medium-high heat. Bring to a boil, then reduce heat to medium low and let simmer for 2-3 minutes. Add peanut butter and stir until it’s melted and combined. Turn off the heat then add the vanilla and oats and stir to combine. Once completely cooled, store in a covered container in the refrigerator. You can substitute almond or cashew butter for the peanut butter if you prefer. Adapted from Super Veggie Mom. Thanks, Lucy! They are so yummy (any time of day!) I’m so excited to contribute to the Fabulous Foodie Fridays party — it’s my first time — and to check out all the other delicious submissions. Happy (almost) Friday! Thanks Gretta! 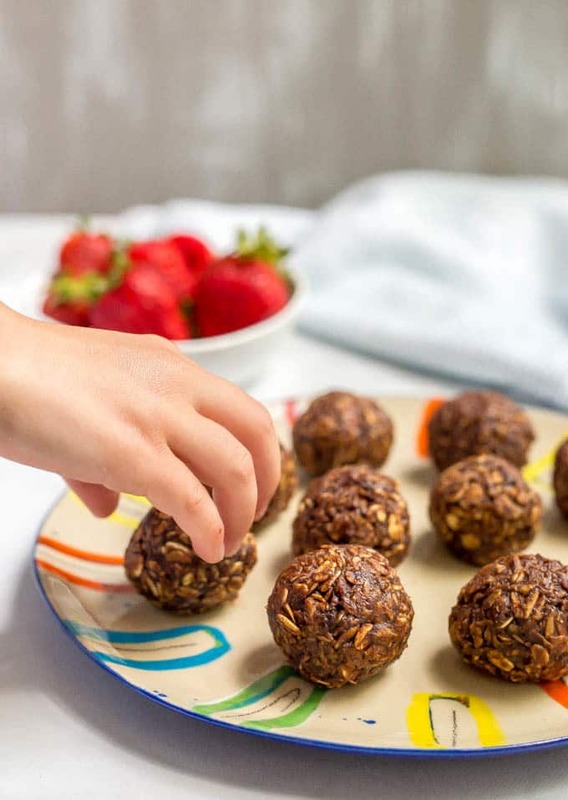 I’m with you – it’s great to have such an easy snack to throw together with pantry basics! Have a great weekend! Yum! What a yummy yet easy recipe to put together – best of all I have all of these ingredients in my pantry! These really are dangerous, we’ve made them twice! Ah these are going to be perfect for my 30 day challenge that I am starting in a couple of days. Thanks for the recipe. Stopping by from Fabulous Foodie Friday. Thanks Lizzie! And good luck with the challenge! Thanks Malinda! They are so quick and so fun to gobble up! You should rename them Little Balls of Heaven! I love the simplicity of these adorable little darlings. I am going to make a batch this weekend. Thanks for the recipe. This is my kind of treat! Pinning. Thanks! 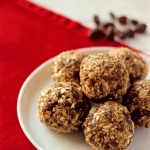 Healthy, fast and chocolate – my kind of treat, too! (And I’m following you on Pinterest, too!) Have a great weekend! P.S. Following on Pinterest. I love good family food! 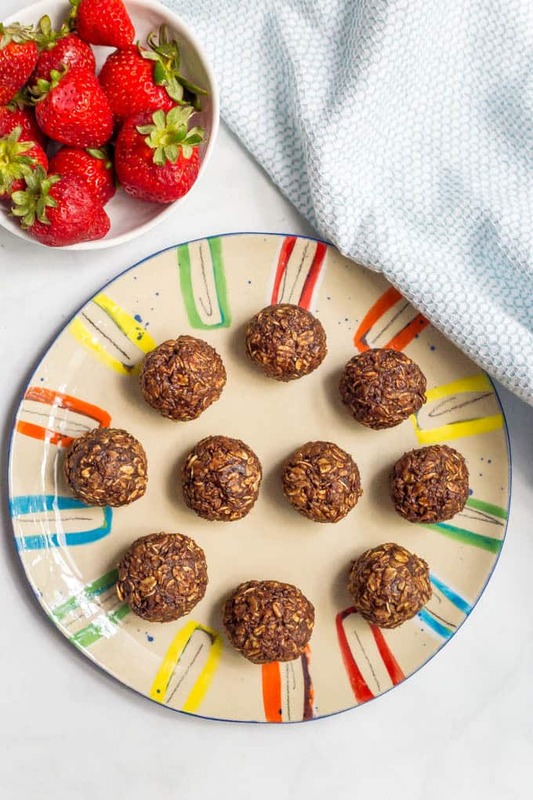 These sound yummy (and easy). Thanks for bringing theM To Throwback Thursday #12! 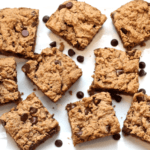 They really are both yummy and oh so easy! 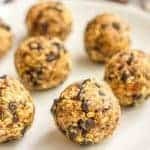 Basic, healthy ingredients and 10 minutes. My kind of snack! Thanks for hosting such a fun party! I can’t wait to make these with my kids! Yay! I hope you all love them Celeste! I can’t wait to make these with my mom! she will definitely love them! You’re awesome, Kathryn! I will recommend you and this site to everyone I know! Aww, thank you so much Violeta! 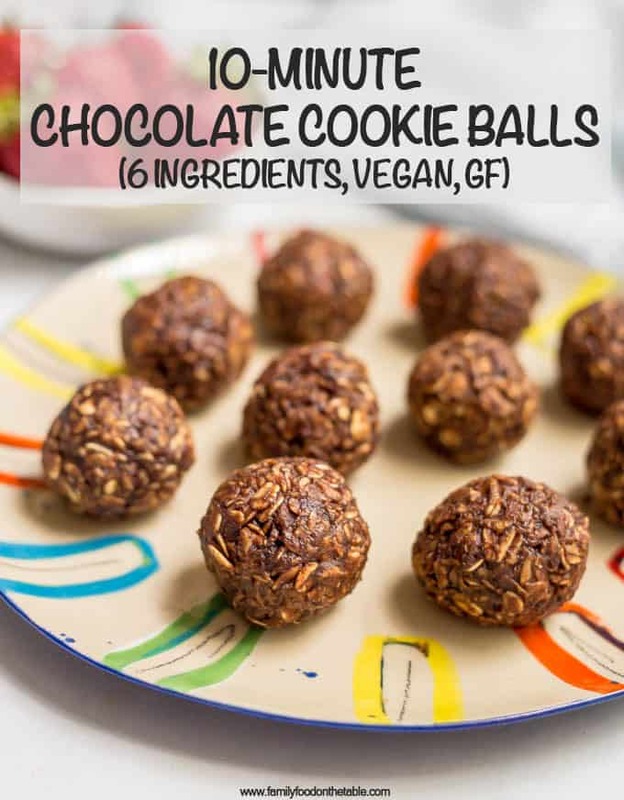 ❤️ I hope you love these chocolate cookie balls – they are a favorite in our house!